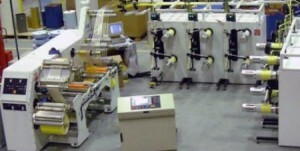 These relatively low cost single traverse spool winding machines are for customers entering the narrow tape markets or for customers with only low volumes of spool winding work. These popular, single start-up, traverse parallel spooled roll winders are designed to be affordable, functional, productive and versatile. Both the single and dual station start-up packs are relatively low cost units which have the capacity to increase the length of material by approximately 8-10 times that which can be achieved on a standard pancake roll. Individual pre-slit pancake rolls of material are placed on the unwind. These can then be spliced together to create the longer lengths of material required. This means that the end user has a greater length of material and can therefore run their equipment for a longer period of time without having to stop. 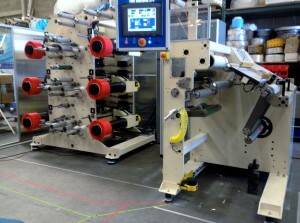 In the event that spooling production requirement increases, the converter can move to a larger system which will take multiple pancakes and spool them simultaneously. We can supply these start-up traverse winders as either 4, 6 or 8 spooling stations.